born January 30. 1972 in Waiblingen, Germany. Back in Stuttgart, Oli engaged in numerous activities including live and studio work covering a wide range of musical styles; he has gradually built himself a reputation as a skilled and creative performer in the modern club music scene. Interested in music like trip-hop, R&B, house, drum&bass and broken beats, Oli developped his own style of imitating the sound and aesthetic of electronic music, playing usually programmed grooves/loops on his minimalistic acoustic drum set. 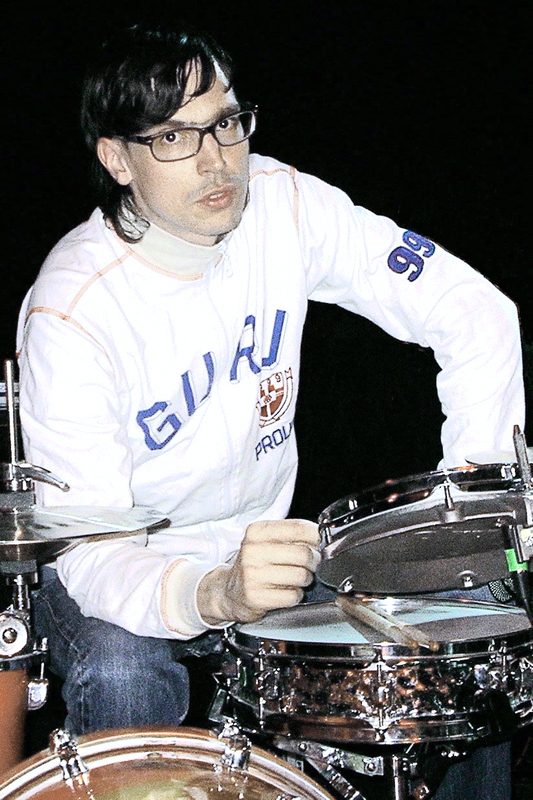 But it is also the history and the sound aesthetic of electronic drums and drum synthesizers that fascinate him. NATIVE INSTRUMENTS Battery 3, SUGAR BYTES Effectrix and the ABLETON Live Software. listen to Oli's own music/remixes (netzer), visit his organic electro beats performances or just take a look at him (->).